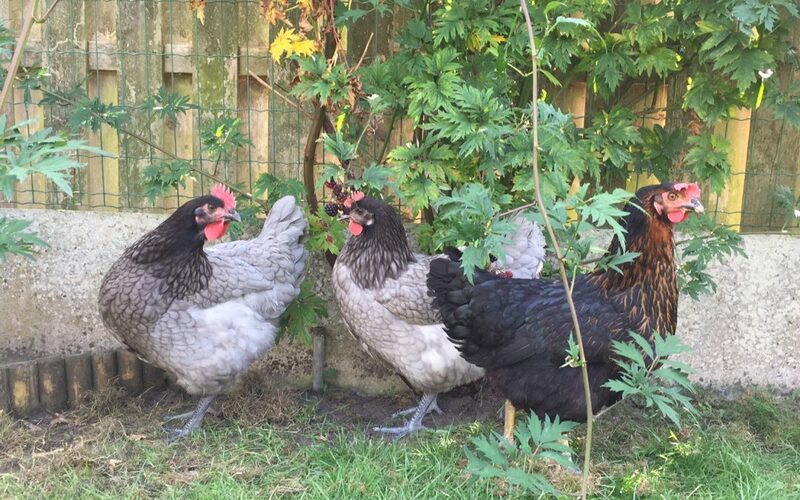 We recently added three chickens to our family, it feels nicely “farmy” and the kids love collecting the fresh eggs. We decided to have chickens for two reasons: to have our children see and experience that eggs don’t come from the supermarket (just like various vegetables and berries we grow in our garden), and also because we tend to eat a lot of eggs. Eating eggs can make you feel great even if they don’t come from your backyard. Having eggs for breakfast can help increase your energy and drop your cravings! So what’s the scoop about eggs, why can these little white and yellow things have such an impact? Eggs are high in protein and their carbohydrate content is negligible. A breakfast high in protein will set you off on the “right foot” for the entire day. Adding some healthy fat, like avocado or olive oil, will keep you satisfied until lunch. You will experience even keel energy throughout the day and if you normally have strong cravings for carbohydrates and sweet things, you will likely see those disappear. Curious about the effects of a more traditional breakfast? Our typical western breakfast is generally high in carbohydrates and sugar (bread, toast, bagels, croissants, cereals, jam, chocolate spread, orange juice) both of which lead to a blood sugar spike which gives us quick but short lived energy. The body reacts with a peak of insulin to move the excess sugar from the blood stream into our muscles and cells and store any extra in the fat tissue. Now we feel the sugar crash and end up craving even more sweet foods to raise our blood sugar and energy levels again. This yo-yo can continue all day long especially on simple carbohydrates and sugar. You don’t make it from one meal to the next without having a sweet snack and you might get irritable or dizzy if you don’t have food at hand when you feel the craving. This is why an eating plan that keeps our blood sugar stable has a positive impact on our energy level and our cravings. A breakfast high in protein is the best way to start off your day, especially if you feel stressed and tired. If you don’t like eggs or your body doesn’t agree with them, don’t worry, there are alternatives. If you like the idea of having a savory breakfast, you can have lean meat, fish or poultry with some avocado for example. If eating meat or fish for breakfast is taking it too far, you can also enjoy a protein shake. In addition to a healthy protein powder and a plant based milk, this can include green vegetables (like spinach or kale) and/or berries, avocado, nuts and seeds. I love to add unsweetened cocoa powder to mine :-). Dr Christianson, a neuropathic medical doctor who specialises in thyroid and adrenal health, promotes a minimum of 24 g of pure, non-allergic protein foods for breakfast especially for those who want to recover from extreme fatigue and exhaustion. Let’s just get back to the eggs for a moment. With years of being told that egg consumption should be limited because they raise blood cholesterol you might be hesitant about eating more eggs. You may have heard about the more recent findings that have led to eggs being eggs-onerated from being blamed for raising body cholesterol which in turn had been demonised as the main culprit for cardiovascular and heart disease. If you are not sure about what to believe, here is some reassurance: In 2015 the cholesterol limit has been removed from the US dietary guidelines. The report says that “cholesterol is not a nutrient of concern for over-consumption”. So the cholesterol is no reason for concern, the protein is good for keeping blood sugar stable and in addition, eggs are incredibly nutritious. “One egg has varying amounts of 13 essential nutrients” . Most of the vitamins are in the yolk which also contains the fat and cholesterol needed to absorb the fat-soluble vitamins A, D, E and K. Imagine that one egg has everything that a chick needs to develop until it hatches, quite amazing, isn’t it!? I say, enjoy more eggs whether you have your own chickens or not! When you buy them look for organic (bio) omega 3 eggs. As a finishing note: experts estimate that about two percent of children are allergic to egg protein. Studies suggest that more than half of the affected children grow out of the allergy. This means that not everyone does grow out of the allergy and allergic reactions may not be immediate or obvious. If you experience any digestive discomfort, bloating, joint pain or tiredness with increasing you egg intake you may want to get an IgG4 food intolerance test to get clarity on whether eggs may be the cause.